In the dictionary, “refine” means several things: to reduce to a pure state, as with sugar, metal, or oil; to free from moral imperfection; to improve by pruning or polishing; or to free from what is coarse, vulgar, or uncouth, as with a refined person. What does the Bible say about refining? 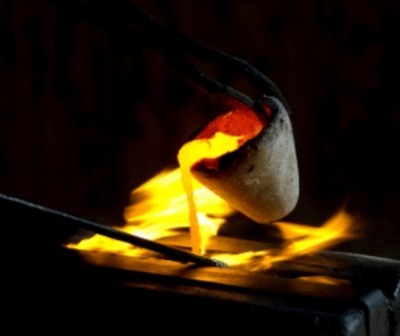 Metal is refined and purified in a furnace; the Lord purifies and tests the heart. “The refining pot is for silver, and the furnace for gold: but the Lord trieth the hearts” (Proverbs 17:3). Lord an offering in righteousness” (Malachi 3:2-4). The Lord examines your heart and mind. “I the Lord search the heart, I try the reins, even to give every man according to his ways, and according to the fruit of his doings” (Jeremiah 17:10). Those who survive will be refined and tested by the Lord. “And I will bring the third part through the fire, and will refine them as silver is refined, and will try them as gold is tried: they shall call on my name, and I will hear them: I will say, It is my people: and they shall say, The Lord is my God” (Zechariah 13:9). It is in God’s plan to take us through the fire. The fire is not a pleasant thing nor is it always easy, perhaps even most dreaded; but, it is necessary to go through the fire so that you can be refined. If we never face adversity, we’ll not be prepared to overcome conflict in our lives. I am thankful that the Lord takes the time to help us to be prepared for spiritual warfare. He hasn’t abandoned us even though we may feel that we are very much alone. I know that the Lord is with us at all times, even when we don’t understand the circumstances that brought us to a place in the wilderness. He knows the plans that he has for us; to prosper us, and to keep us in good health. If you obey the scriptures, you’ll know that you have authority in God’s word to overcome the adversary. Stand on the word of God, and expect God’s best.